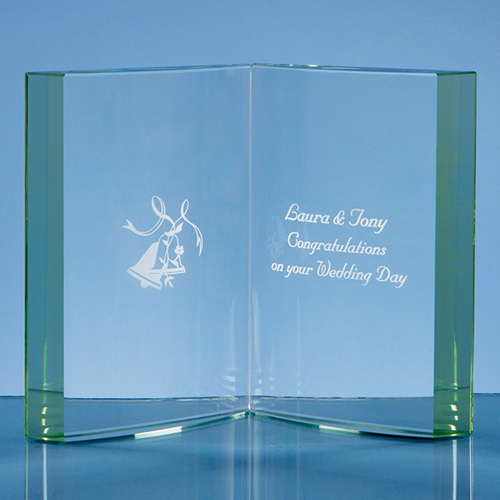 The 13cm jade glass open page book is an ideal celebratory gift. There is a large engraving area that can be personalised with any wording, logo or crest. The glass book is sure to be greatly received and displayed with pride.